A robust solution to view VHDX files, explore and preview Hyper-V Virtual Disk Image Files without any single error encountered. Repair damaged VHDX file with one of the best freeware Software to open vhdx file. 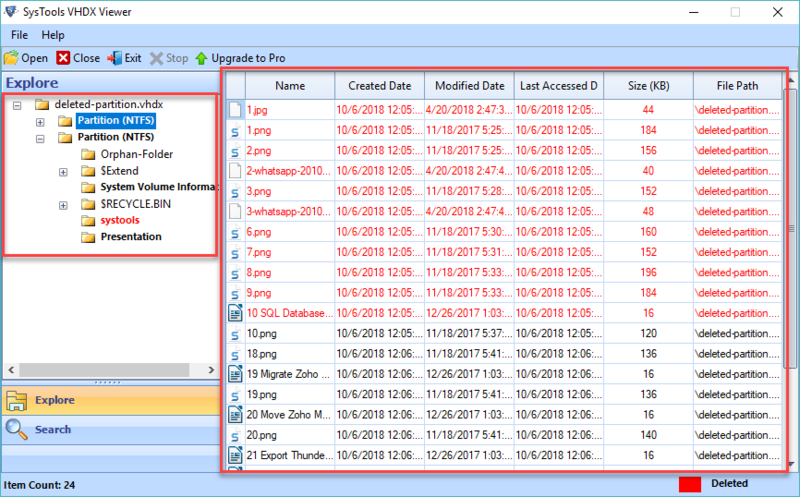 The tool supports to open VHDX file Windows 7/8/8.1/10 (32-bit & 64-bit) or Window Server 2008/2012. The freeware provides an option to view VHDX files inside matter. The VHDX viewer renders an easy alternative to explore VHDX files of any virtual machine and the hypervisor server. 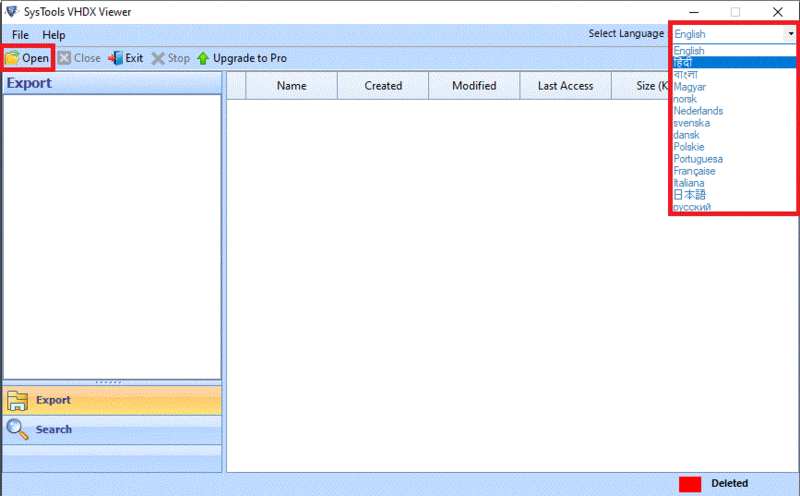 The tool even provides the users with a provision to open VHDX files inside matter from any of the damaged or corrupted VHDX files. 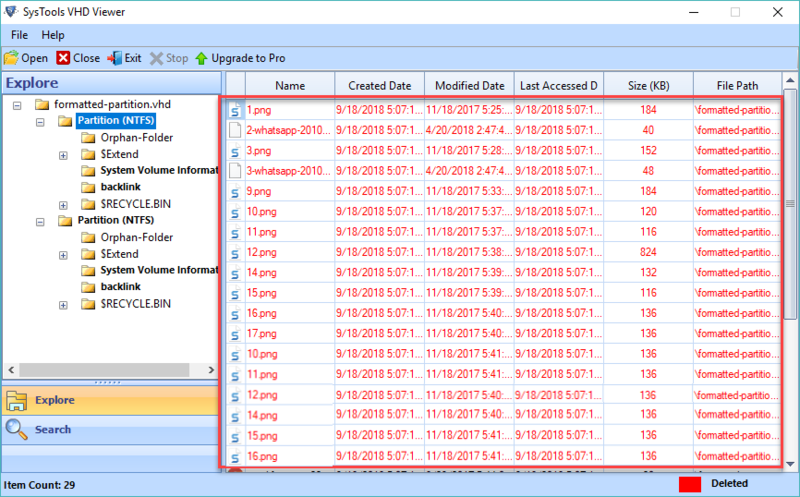 The program completely analyzes the VHDX image files and once done with the analysis of image file, it generates the instant view of the contents that can be easily read corrupted VHDX files. The best part of VHDX Viewer is its compatibility portion. It is easily operable on all Operating system newer or later ones. 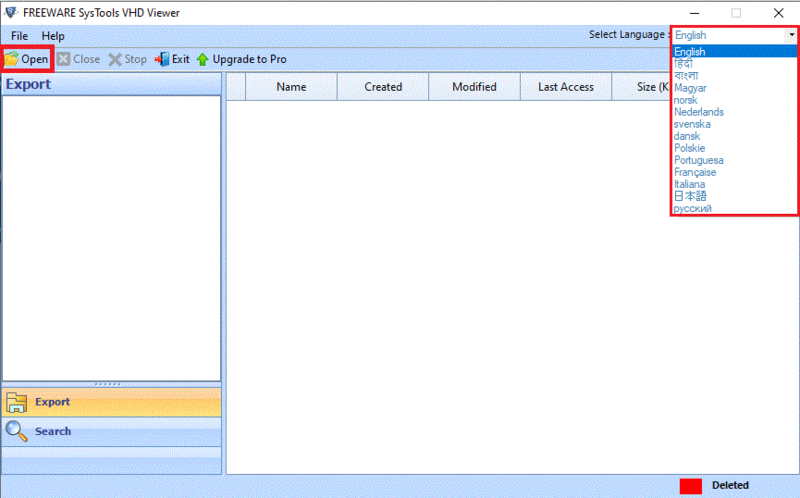 This tool supports to open VHDX file Windows 7/8/8.1/10 (32-bit & 64-bit) or Window Server 2008/2012. VHDX viewer tool has the credibility to support all the corrupted VHDX files data. The software provides users with a quick and reliable solution to repair damaged VHDX file being affected by any type of error. Moreover, the program can browse VHDX files of any edition of Hyper-Visor server in its original format. The program is designed keeping users requirements in check and thus has a credibility to retrieve deleted VHDX files. 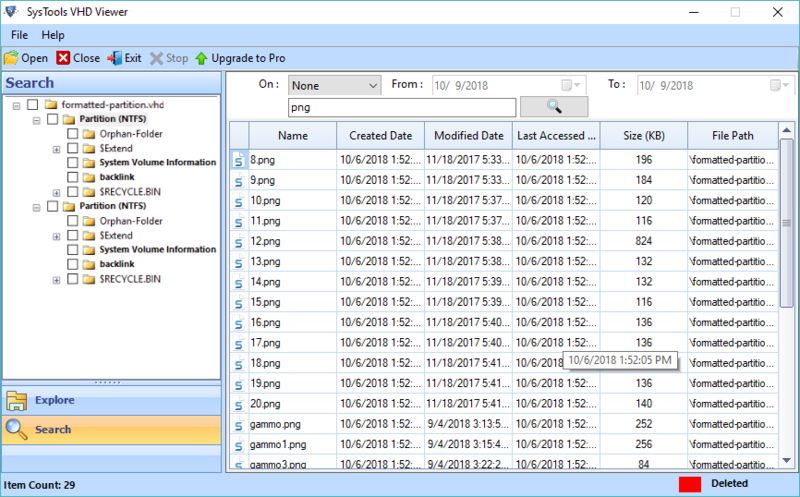 In case the files/folders data is deleted, then a user can only make use of VHDX viewer and it provides a constant preview of recovered VHDX data files and allows to open VHDX files. The utility is very well managed and user-friendly that it does not restrict the user in terms of size. It implies that a user can browse VHDX file of any size or type by employing VHDX Explorer Program. VHDX Viewer even renders the support to 64TB size file without any restrictions imposed on it. It even retains the integrity of files during the opening of files. The program is designed keeping every single user in mind. That’s why the tool VHDX Viewer freeware comes with a user-friendly interface and all the technically savvy and non-technical users can make use of the software to open VHDX files effectively. Thus, it can be a properly used by both personal and enterprise users. Q. Is the VHDX Viewer tool available as a freeware? Ans: Yes, the application is available in two parts i.e., Demo and Licensed one. You can try the VHDX viewer freeware and make yourself comfortable before buying it. Q. Can I get the view of deleted photos using VHDX Viewer? Q. Is there any technical team support present in terms of chaos? Ans: Yes, the software comes with the round the clock assistance that can help you if you are stuck in any problem in using the VHDX Viewer freeware. Q. Does the wizard provide any guarantee that no data is lost while using it? Yes, the wizard ensures that there is no data loss in employing the tool. So, no need to worry now about the data loss while using the software. Note: OST Merge Software will get delivered on your registered email id, within few minutes after placing the order. The VHD Viewer freeware permits users to mount, access and view VHD files of Hyper-v Virtual Disk Image. It is compatible with all versions of Windows operating system, including the latest one i.e., Win 10. As well as it can recover deleted data of VHD files. There is no size limitation imposed by VHD file Viewer Software. It is successfully tested with 45GB. This tool has designed in such a way that it will recover all deleted windows image backup VHD file. VHD Viewer Software designed to open and view Window Backup Image having (FAT32 & NTFS Fixed and Dynamic). The software is an independent program, repairs corrupt VHD files for free and allows to view and read VHD file. It is possible to rapidly load and explore content of Windows backup VHD file having any size in an efficient way. Freeware is having the capability to recover and restore deleted VHD file. It extracts permanently lost VHD data from the browsed file and loads them on the preview wizard. VHD file viewer software recovered lost files will be highlighted in red to distinguish them from existing items. 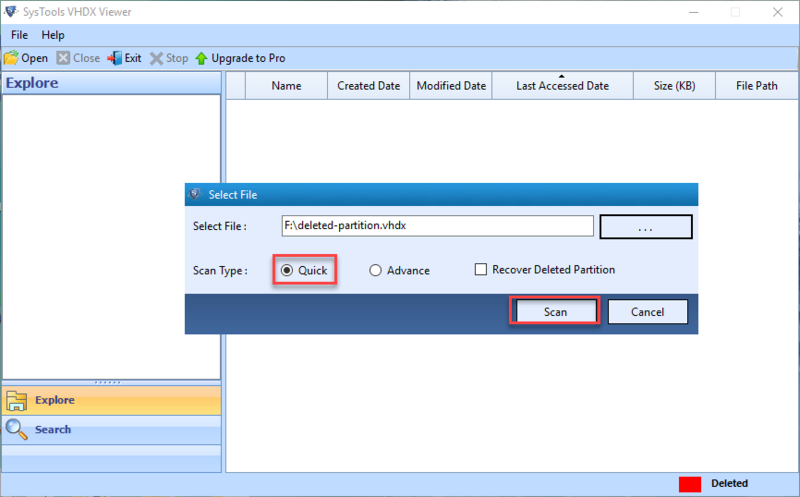 The VHD Viewer tool supports to open a file which shows error like VHD file is corrupted and unreadable or any other. It is simple for the software to deal with such virtual hard disk files, which are not getting easily mounted on Windows OS. This utility offers an independent measure to access VHD file of all its initiator apps like Hyper-v Virtual disk image, and Windows backup. It supports both static as well as dynamic VHD files and explores their data. VHD file freeware is developed in such a way that each and every module of the application will be easily understandable. Only a user needs to add VHD files in the freeware rest, all tech activities will be carried out by VHD file Viewer software itself. VHD explorer has no size limitation imposed. It is compatible with any size for data extraction of a VHD file. Well, a technical testing team had run the product with 45GB of .vhd file where all things were carried away in a perfect manner. Step 2 : Browse towards the path where source VHD file is saved, select it, and click on Open. Q. Is there any provision of recovering items from corrupted VHD file? Ans: No, the freeware does not support data recovery feature. If you want to restore deleted / normal VHD file items on your PC then, you can use our VHD recovery (Hyper-v recovery software interlink) software. Q. Will your tool support .vhd file of MS Windows server 2012, which was created via Hyper-v program? Ans: Yes, the VHD Viewer Freeware is independent from the fact that which application has created it?”. This utility access VHD file of all its possible types without any single hassle and permits to read VHD file. Q. Are there any hidden charges appended in your software to repair corrupt VHD file within it? Ans: No, not at all, the tool provides an independent and a totally free functionality to work with it. Whether it is about fixing corrupt VHD or recovering deleted data items from .vhd files or software does not require any additional charges to activate these functionalities. Q. Does your free utility support viewing of multiple VHD files at a time? Ans: Yes, the free application is providing the same functionality as you want. 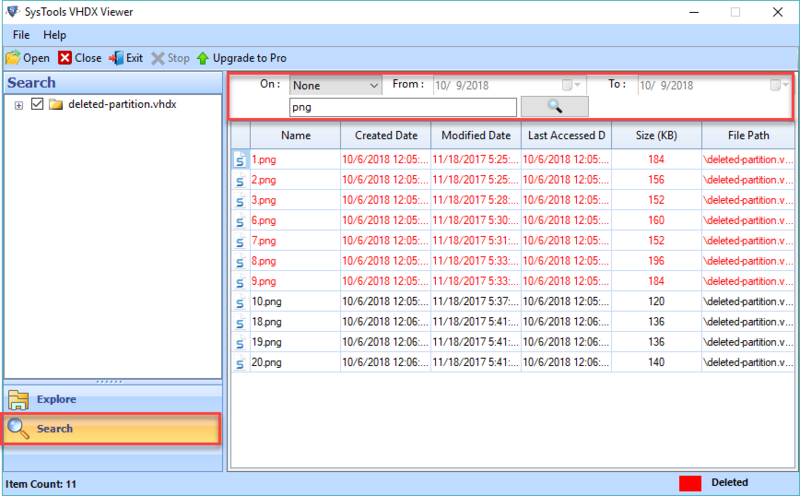 In order to explore multiple VHD files all at one place, you just have to browse and scan VHD files one-by-one in the product. Note: VHD Viewer Software will get delivered on your registered email id, within few minutes after placing the order. I really want to say thanks to the Developers who are behind the incarnation of the VHDX Viewer product. You guys are really doing a great job and keep on developing the products like this. Once again Kudos! for the work. I want to appreciate you guys for the wonderful effort towards development of this software to open VHDX files. You guys are just rock stars that have solution for every problem related to VHDX files. So, please keep doing the great work and gift us more with what you have in your kitty. Thanks. I just want to say that thanks developers for such a wonderful program that has the credibility to view damaged/corrupted VHDX files. You guys are really doing an amazing work. Bravo! I am really happy that this VHDX Viewer can view VHDX files of every type of VHDX file. The product comes with many brilliant features among which one of my favorites is: Restore Corrupted VHDX files. It has many other astonishing properties that help the users in resolving all the issues related to view, open VHDX files and so-on. The VHD File Viewer working is totally unbelievable. Well, don’t know how but, my Hyper-v machine was unable to boot VHD file and showing an error statement again and again. It was really irritating and hence, I decided to mount the file in VHD viewer software. The free utility literally works like an intelligent program to view VHD file on Windows 7. I was having very less knowledge about the virtual machine and files like VHD and VHDX. My team lead asked me that he wants a solution to mount VHD file on Windows 7. Actually, I got afraid when I was given with this virtual disk but still, I googled for the solution. Thank god, I found VHD file opener by SysTools. The tool was really helpful for me and now my team lead is very much impressed with my work. Thank you guys! Its all just because of you only. VHD file viewer software is a complete package to browse and open VHD file on Windows OS. It comprises of all those features, which are required by a technician to access virtual hard disk file. The most amazing aspect of this product is that it recovers deleted data from VHD, which gets highlighted with red line to separately show them. At last, I only want to say that it is the perfect and best freeware utility.